Channing Tatum is no laughing matter. That’s not to say he isn’t a riot — the man can handle a gag like nobody’s business. 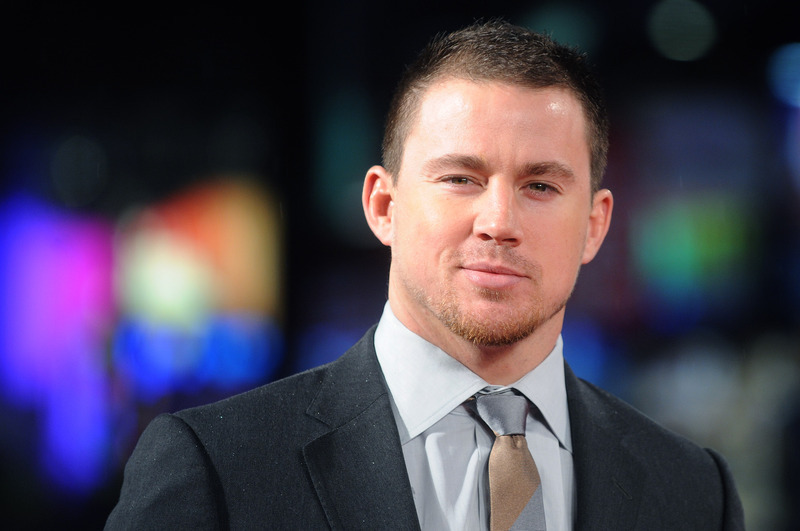 But Tatum has come a long, long way from being the joke he was at the dawn of his big screen career: the Step Up guy, the Dear John dude, the doofy kid in She’s the Man. Now, he’s headlining comedy franchises, stealing scenes in Oscar hopefuls, and even getting into the directing game. With the dark, dramatic Forgive Me, Leonard Peacock cementing as his filmmaking debut (an honor once held by Magic Mike XXL before Tatum handed that project off to Steven Soderbergh’s perennial assistant director, Gregory Jacobs) right around the theatrical release of his awards-worthy performance in Foxcatcher, not to mention renewed chatter about further entries in his highly successful 22 Jump Street comedy series, it seems as though the fates, winds, gods, illuminati, or whatever other forces might be at play are really trying to hammer home that Tatum has reached the ultimate glory. Though Tatum’s story is an especially auspicious case, we see this kind of narrative more and more in contemporary Hollywood: a star begins his reign through notoriety with laughable material, second-rate performances, an altogether unfavorable reputation. Somewhere along the line, he or she hits the singularity — the role that insinuates, “Hey, maybe there’s more to this souse than we thought!” From then comes more formidable interest. Even if that first game-changing project is small potatoes, it helps to burrow the notion of this actor’s yet untested talent into the minds of those ordained to let said star power shine. Then comes the dream casting — propagation of the player in question for high-profile roles calling for a fresh new voice — then the rumors, then the gigs, then the awards. And somewhere along the line, we’ll realize that the flicks we used to laugh at may not have been so bad after all. That talent shone through even in the earliest, cheesiest of pictures. We’ll board the bandwagon in hordes, allowing not even for momentary suggestion that this unmitigated powerhouse might be unworthy of these highest leagues of praise. We’ll have an entertainment icon. And as hard as it may be to convince the 2006 versions of ourselves, the latest example of this transformation is Channing Tatum. He joins the ranks of Matthew McConaughey, who leapt from rom-com ridicule to impressed stirrings via Magic Mike (with the occasional stopover in complementary Linklater territory), then to the big guns of showbiz grandeur: a Scorsese role, an HBO series, an Oscar… and all in the confines of a generous two years. Is there something about today’s culture that gives way to stories like Tatum’s and McConaughey’s? Could it be a reach back to the ideologies of Hollywood’s golden era, when directors like Alfred Hitchcock would vie for camp and kitsch, and actors associated therewith, to make his grave films all the more evocative? Perhaps benefited by contrarian culture, the once unloved see an influx of new advocacy at the first observable chance — everyone wants to get in on the ground floor of an actor’s fandom, supporting him or her before the fashion permits (for the very purpose of being able to say so). Or maybe it’s just the opposite: a dissipation of the cynicism we’ve known for decades, the proclivity to cast out a spotlighted figure at the first chance to tire of his or her wiles. Maybe we’re back in the interest of rooting for people, of assigning allegiance to up-and-comers and underdogs. Maybe Tatum’s ability to ascend from the mucks of mockery is a hint at something far more hopeful than an individual’s artistic escalation. Maybe it means that we’re ready to become a society that likes things again. ...or maybe we just really like guys from Magic Mike. Bomer, you're next!